Jun. 21, 2018—Ricks and co-authors John Crawford and Lev Manand argue for offering accounts with the Federal Reserve, which come with privileges such as higher interest rates, instant clearing and added security, to everyone. Jun. 8, 2018—Alexiou is director of LL.M. and alumni advising and associate director of Career Services at Vanderbilt Law School. May. 16, 2018—Wuerth, Sherry and George were honored for first-year teaching, and Wuerth and Edward Cheng for upper-level courses. May. 14, 2018—Richard Turner Henderson received the Founder's Medal for First Honors. Apr. 30, 2018—Igo's book is The Known Citizen: A History of Privacy in Modern America. She is an associate professor of history, political science and law. Apr. 30, 2018—The Rick V. N. Ferrini Law Scholarship and the Rick V. N. Ferrini Medical Scholarship honor an accomplished attorney who died March 10, 2017. “We wanted to do something in memory of Rick that would honor him and make him proud,” said Vino Ferrini, president of the Texas-based leather footwear company Ferrini USA. “His time at Vanderbilt was very special to him, and these scholarships will give that same opportunity and experience to others. We also want to support research on depression, which so many struggle with, as did our son. It is a disease like any other, and we want to see the stigma removed for those who suffer with it and their families.” A graduate of the University of Colorado at Boulder, Rick Ferrini began his legal career in Washington, D.C., after earning his law degree from Vanderbilt in 2011. For the next five years he served as an assistant attorney general in the Office of the Attorney General for the District of Columbia, where he defended D.C. government agencies and individual employees at all levels of government in a variety of civil lawsuits. In 2016, he returned to his hometown of Dallas to serve as counsel to his family’s company, Ferrini USA. Apr. 25, 2018—Sitaraman will receive $200,000 from the Carnegie Foundation of New York to support his research on how public services such as schools and libraries can advance public policy goals. Apr. 23, 2018—Henson’s Note, published in the 2018 Vanderbilt Law Review, explores courts’ disagreement over admissibility of evidence of prior malpractice by medical expert witnesses. Apr. 17, 2018—Justice Drowota served on the Tennessee Supreme Court for 25 years and as a judge in Tennessee courts for 35 years. Apr. 17, 2018—Giancarlo also spoke to the VLS Board of Advisors after his Sims Lecture April 13. Apr. 10, 2018—Horn Boom has previously served as an assistant U.S. attorney for the Eastern and Western Districts of Kentucky. 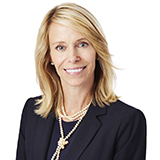 She was a partner at Frost Brown Todd in Lexington before her confirmation to the federal bench. Apr. 5, 2018—Guthrie will serve on the executive committee and Serkin on the advisory committee tasked with working closely with Brailsford & Dunlavy, the development advisory firm on the project. Apr. 4, 2018—Justice Sotomayor answered students' questions in her 2018 Cecil Sims Lecture in Flynn Auditorium April 3. Mar. 30, 2018—Sochacki and Duru will travel to Germany and Poland this summer through the prestigious FASPE program, which uses the conduct of lawyers and judges in Nazi-occupied Europe to examine ethics in the legal profession today. Mar. 28, 2018—Duru will participate in the Fellowships at Auschwitz for the Study of Professional Ethics Program and intern at the Department of Justice’s Office of Legal Policy during summer 2018. Mar. 23, 2018—Heaviside will focus on reproductive justice policy and advocacy at SisterLove, an Atlanta-based HIV and reproductive justice nonprofit as the organization’s RJ-HIV Fellow.